WebRTC can be an important part of the future for enterprise business communications, but it is one part of a much broader strategy. Like a lot of new technologies, WebRTC has been subject to hype and disappointment. 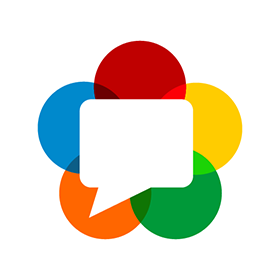 To get at its real potential, be sure you understand what WebRTC really is and isn't. WebRTC is an agreed-upon framework for managing real-time communication streams in a Web browser without the need for plugins. Originally a Google project, it is down to refinements from the standards process within the World Wide Web Consortium and Internet Engineering Task Force. It is viable and scalable technology today, despite some annoying differences in browser implementations. Embedding real-time communications in the browser is a big deal, particularly for consumer applications in which you do not want to force a user to download plug-ins. The same goes for enterprises in which users may not be allowed to download any software and IT wants to minimize the number of desktop applications it has to maintain. WebRTC is important, but note that it is a user interface technology and only a user interface technology. I remind you of this fact because too often it has been obscured by the proliferation of peer-to-peer applications that allow users to talk to or video conference with each other, browser to browser. You could say those apps are "cutting out the middleman" and make that sound like a good thing. But, in the process, they are also bypassing the network infrastructure that adds reliability, ability to complete communications requests using the PSTN, and flexibility. Having devoted much of my career to optimizing real-time communications over the Internet, I can tell you that's not a trivial distinction. For one thing, it means you're routing calls over infrastructure optimized for multimedia data, rather than trusting the same random path over the Internet you might use to download an animated GIF. That latter scenario is not acceptable if you need to meet a business goal of providing global access anywhere, anytime, on any device. Don't get me wrong: As a user interface technology, WebRTC is a breakthrough. I merely want to emphasize that the best WebRTC applications will incorporate everything we have learned about delivering reliable enterprise voice and video. We want to connect to the enterprise communications voice and video infrastructure, not bypass it. As an example of why this matters, one of the more interesting applications I have seen take advantage of WebRTC is click-to-call embedded in a Web advertisement. Consider how this works in a business such as a real estate agency that wants to make calling about an advertised property easy for potential buyers. Some early peer-to-peer applications of this type required that the call be answered by someone who was also sitting in front of a WebRTC browser -- a marginally acceptable solution for a call center, perhaps, but not for an organization with a distributed workforce. If a cloud business phone system treats the WebRTC call like any other, it will be able to place the call into a queue where it will ring the desk phones and mobile phones of multiple real estate agents until one of them picks up. That's a consumer-facing example, but WebRTC is equally suitable for plugging into enterprise applications for sales, marketing, or any business application for which a real-time connection would be valuable. For years, softphone apps for Windows and Macs have served as alternatives or companions to desk phones. Automated dialing triggered by click-to-call widgets in apps was a primary benefit of that software. With WebRTC, we get the same benefit but can do away with the software download. Advanced cloud communications platforms are starting to combine team messaging and collaboration with browser-based voice calls, conferencing, online meetings, and management of voicemail and faxes. Not only can you call any co-worker with one click from within the browser, but you can "flip" the call to your desk phone or a mobile phone. Other click-to-call instances, such as within Salesforce and other business applications, no longer require users to launch the desktop softphone. That integration means the desktop is finally catching up with what we have become used to on our mobile phones -- one user experience for calling, messaging, and applications. Even users who prefer the desktop softphone over doing everything in the browser will begin taking advantage of WebRTC once it's embedded in a desktop client. Yes, I am sure the desk phone will live on, even as more people realize that a browser and a good headset is really all they need. Even the most traditional of traditionalists will start to see the value of letting the computer dial for them, then flipping the call to their desk phones -- or to their mobile phones if they are about to run out the door. Peer-to-peer WebRTC communications will also remain popular with collaboration and social software developers looking for a quick-and-dirty way of demonstrating "calling" within their apps without the need to create a complete phone system. There is nothing wrong with that, as long as you understand its limits. It works pretty well most of the time, and some team messaging providers are taking this approach, giving users an easy way of calling coworkers by clicking on a profile picture. The caution here is that this lets you only call users of the same app. Was WebRTC overhyped? Now that we're realizing its full potential, no, not at all.